Mold comes in many shapes, sizes, and colors. Some of the mold in our environments are healthy and natural, but some of it can be hazardous to our health and our homes. 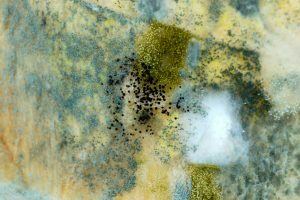 Since there are many different types of mold and surfaces for it to grow on, there are various methods to properly eliminate it. Below, are a few ways to kill mold that you might find in your home. Nonetheless, if you see mold in your home and you live in the Port Clinton, Mansfield, or Huron areas of Ohio, you should call the professional mold remediation team from RestorePro right away to eradicate it. These home remedies are helpful, but if the infestation is deep into your carpet, walls, ceiling, etc. you won’t be able to get it all on your own. Bleach is probably the most common solution to killing mold. Mix one part bleach to 16 parts water. Bleach is best used on non-porous surfaces. To apply your cleaning solution, you’ll want to spray the mold or dampen a rag. Wait five minutes or longer if need be, then begin to scrub the mold away. Bleach ONLY takes away the surface mold. Oftentimes, when the mold is spotted on the surface, there will be more underneath. Always call a professional mold remediation team to inspect the property if you find mold in your home. An important caution to remember is to never mix ammonia with bleach. The combination of the two chemicals produces a toxic gas. For this method, you will want to use straight, undiluted white vinegar. It will work on just about any surface but be conservative if you are using it on a porous surface. Spray or apply with a damp rag, wait about 15 minutes for the vinegar to break the mold down, and then scrub it away. A benefit of using vinegar is that it may have a strong odor, but it is non-toxic like bleach so it is safer to use. The recipe to use for baking soda is one-half cup baking soda, one cup of water, and one tablespoon of liquid detergent. Same as bleach and vinegar, baking soda can be used for any surface but must be used sparingly on porous surfaces. Spray or rub the solution on the mold and the scrub the mold away. After doing so, conservatively spray the area and the dried baking soda will discourage the further growth of more mold. Baking soda has no strong odor and is also safe to use so it is a good option for those reasons. While not as well known, borax is a great solution for mold removal. The recipe is one cup of borax to one gallon of water. Borax is also safe to use on all materials porous or non-porous. Apply the solution to the affected area then scrub away until the mold is gone. There is no need to rinse afterward because borax has properties that will inhibit future mold growth. Borax is also very safe to use as long as you don’t eat it. Hopefully, these home remedies will offer some help for you if you ever encounter mold problems in your home. Remember though, a little bit of visible mold is oftentimes a sign that there is a more serious mold problem within your home. Don’t let a mold problem turn into a bigger, more costly emergency. Contact a professional mold remediation company like RestorePro in Port Clinton, Mansfield, or the Huron areas of Ohio to destroy the mold that you wouldn’t be able to get to otherwise.